*Today, I’m waking up in Boston, Massachusetts but will be sleeping in New Jersey. My family will make the drive later today to spend the next three days in Manhattan. Hopefully, before we go to sleep tonight, we’ll be gazing over New York City from the top of the Empire State Building! I am so excited to share this last guest post with you. 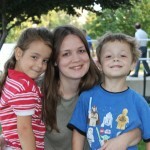 I met Jessica from Teachable Moments, a little over a year ago now. Whenever I need to be inspired about the possibilities of interest-led learning, or when I want to read about the joy that dreaming big dreams and seeing them through can bring, I head over to Jessica’s blog. I thoroughly enjoyed reading this post, and I know you will be inspired by reading it, too. Much of what we do in our home is interest led. We have core curriculum subjects like history, math, and language arts but how we pursue them does not look anything like a traditional school system. Having input into one’s own education is powerful and motivating. My children are not the recipients of someone else’s knowledge; they are active participants in customizing their own education. This summer and coming fall I am fortunate to be participating in a new educational project where the children will choose a substantial project with the goal of making the world a better place. It should be a project that they care about passionately. They will create the project, devise a plan to manage the workflow of the project and see the project through to completion over the course of two semesters. They will make a documentary of their process and our goal is to enter the documentary into a children’s’ film festival this spring. My girls and their friends are very busy. Projects are underway. Excitement is high. I am left asking myself, what kind of role model am I if I am not pursuing my own interests and passions with equal vigor? Over the course of a week, I wrote a book on how to create, organize and implement an art journaling class with a group of children! My children saw their mother typing when they woke up and still typing when they went to bed. After the idea was planted in my brain, my passion for art journaling took over, and this book wrote itself. That was the easy part. In order to pursue this interest of mine, I am educating myself on how to publish an ebook. Amazon? iBook? There are many possibilities and each has specific formatting requirements. I am fortunate to have a good friend who is my IT guru. She will be helping me with the publishing should I need her assistance. It is reassuring to have a mentor who will guide me as I educate myself about the process. I encourage my daughters to find mentors to guide them in their educational journey, and in order to be an educational role model for them, I too must seek out guidance when necessary. My daughter’s interests will lead them on exciting adventures as they become more involved in their projects. Grace plans to hold a benefit concert in support of communities in need, especially those affected by natural disasters like the Colorado fires. Lilah is working on a project to raise money for endangered animals. More details will be forthcoming soon. This Mama will be working on publishing her ebook, and hopefully dusting off the pages of a memoir that I had started and walked away from. Projects developed around our interests. These are very exciting times in our homeschooling family. 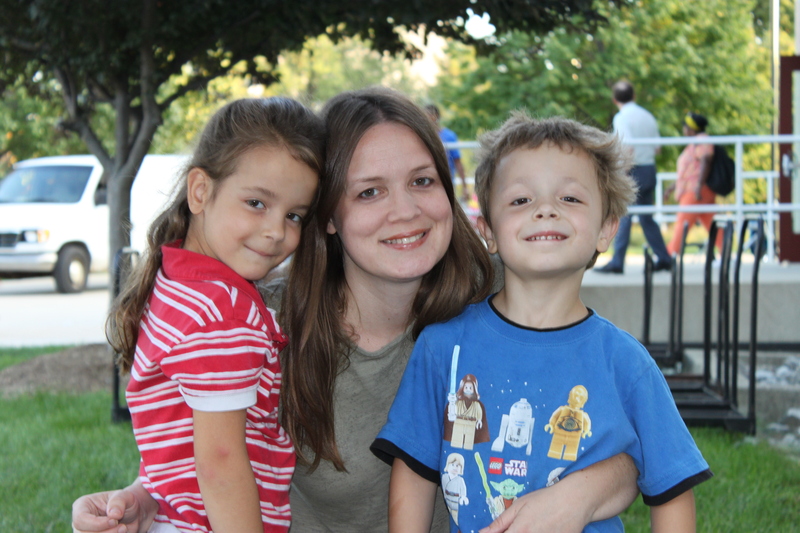 Jessica spent several years as an international relocation consultant before switching careers to become an educator. With a B.A in International Business and a M.A in Elementary Education, it would follow that her children, both homeschooled since 2010, would become part of her eclectic lifestyle. Jessica blogs about the experience of withdrawing older elementary aged children from public education and the lifestyle changes that followed at Teachable Moments. She can also be reached on Twitter . When not shuttling her daughters to their numerous activities, she enjoys teaching Sunday School, reading, teaching herself to knit and caring for her two fish, two frogs and two dogs! How do you incorporate self-initiated projects in your family’s learning? Jess, this post is wonderful, and I am excited to see the new ebook. We had a really wonderful time! Great post Jess. I have loved following along on your journey with Grace and Lilah. Can’t wait to see the Art Journaling Ebook. I love Jess, too! 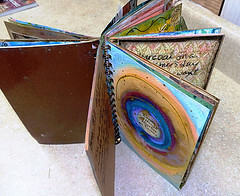 Her art journaling is inspiring!